Raise the roof with our functional and stylish range of flat roof designs on the Central Coast, here at Patios Coast2Coast! Create a functional outdoor living area that will enhance your home and lifestyle with the smooth, simple, uncluttered lines of our flat roof design options. 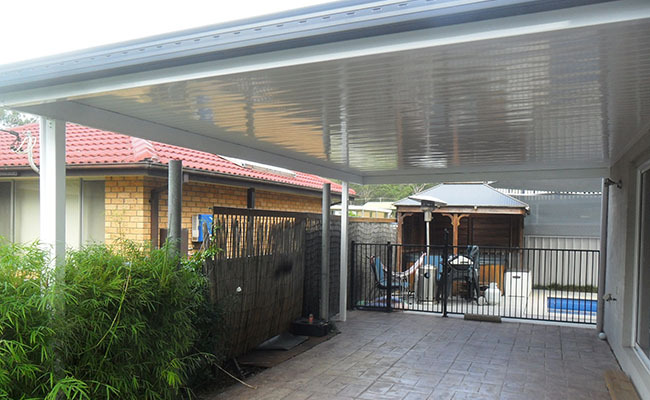 The versatile flat roof system can be configured to cover any area around your home. Flat roofs offer the most efficient use of space for your outdoor living area and represent the best value among our patio roof designs. Got air conditioning units you want moved out of the way? Or, are you looking to add some colour to your home with hanging plants? The even surface of our flat roofs provide the ultimate flexibility for your home DIY projects. More than that, our flat roofs make home maintenance a breeze whether you’re cleaning the gutters or making repairs, with a safe and accessible surface to work with. At Patios Coast2Coast we provide a quick and simple installation while our flat roofs are an affordable and cost-effective choice that require less materials, reducing your investment without compromising the value it adds to your home. 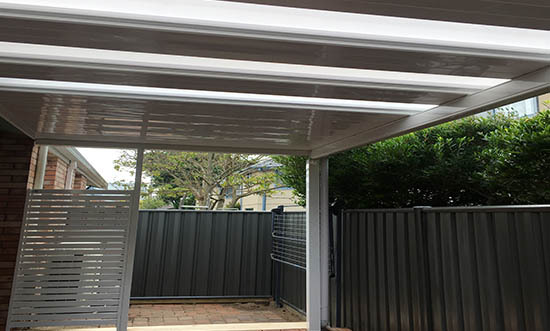 With a compact and minimal design they are the space saving and budget friendly roofing option. A flat roof is ideal either as a single unit, or incorporated with a gable roof, curved roof, or pergola system. 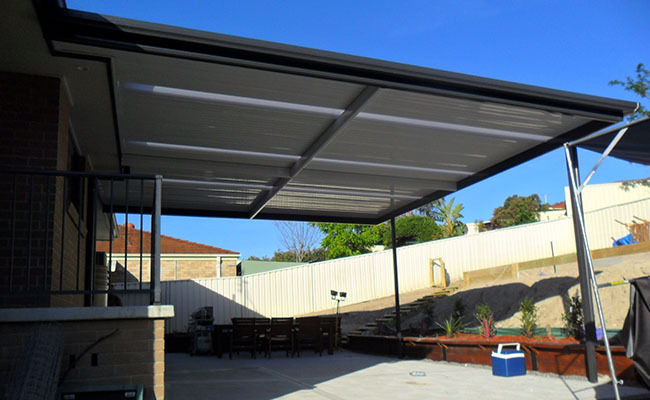 Available as either a freestanding structure or attached to the home it can be used as a verandah, patio or carport. With the addition of rooflite you can supply filtered light to the underside, for an effective and versatile roofing solution. 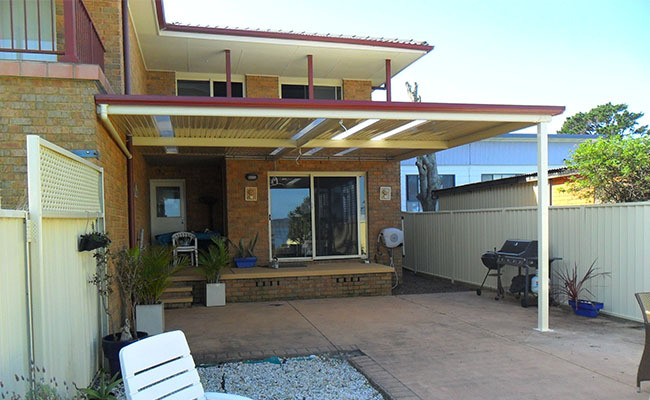 Our experienced team of professionals at Patios Coast2Coast are the experts in flat roof supply and installation on the Central Coast and will help you choose the perfect flat roof design to suit your home. 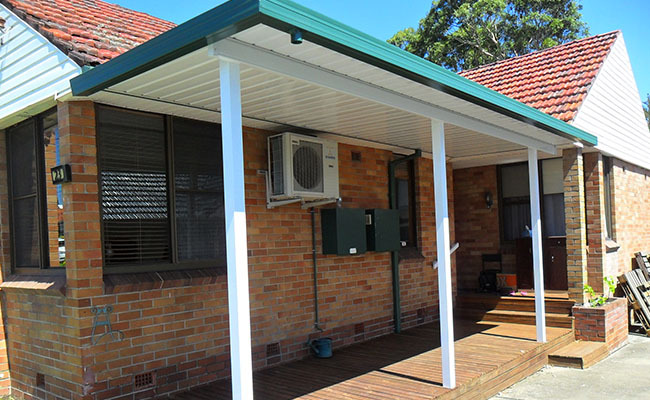 If you’d like to see the benefits a flat roof extension could have on your property then reach out and contact the flat roofs installation experts on the Central Coast today!